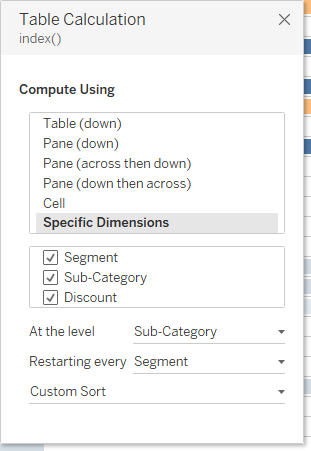 In the view I am looking at sub-categories by each segment, hoping to rank them by the sum of Sales. I’ve encoded an additional measure (discount) on color. 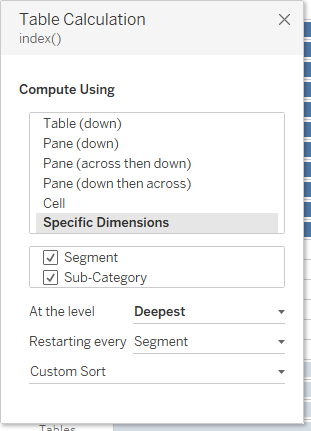 This could be a great visualization for understanding demographics within hierarchical type dimensions. Like say the gender breakdown of who has diabetes at hospital A. The issue is, getting to the view shown above is somewhat more complex than I had originally thought. So let me walk you through what happened. Created initial rank calculation (index()) and then did the typical sorting. This is great, Ann! 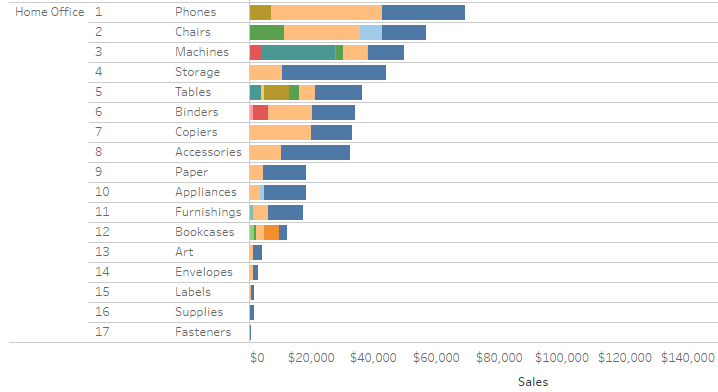 I’ve just begun learning Tableau, and one thing I know I will do often are nested sorts. Thanks so much for the step-by-step! This was an amazing tutorial. Thanks Ann.